The "three rondavels" are one of the natural wonders of Blyde River Canyon, one of the largest canyons in the world. 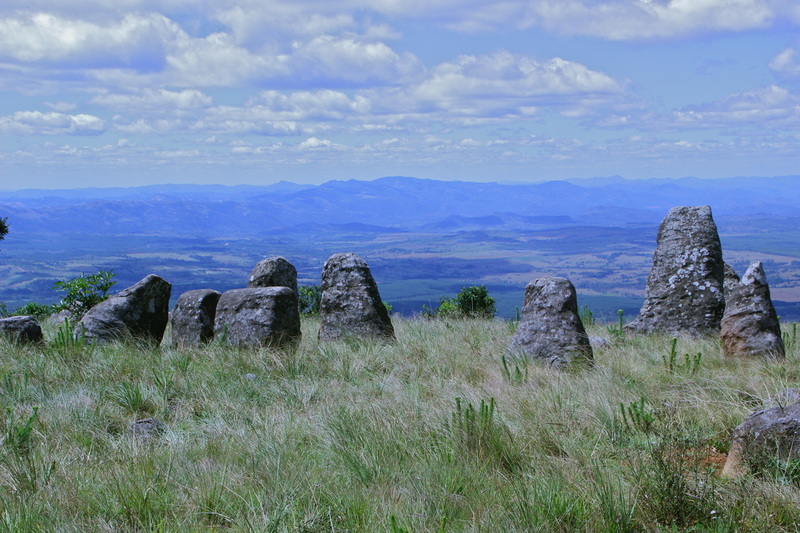 Timbavati, or "Tsimba-vati", means "the place where lions came down from the stars." 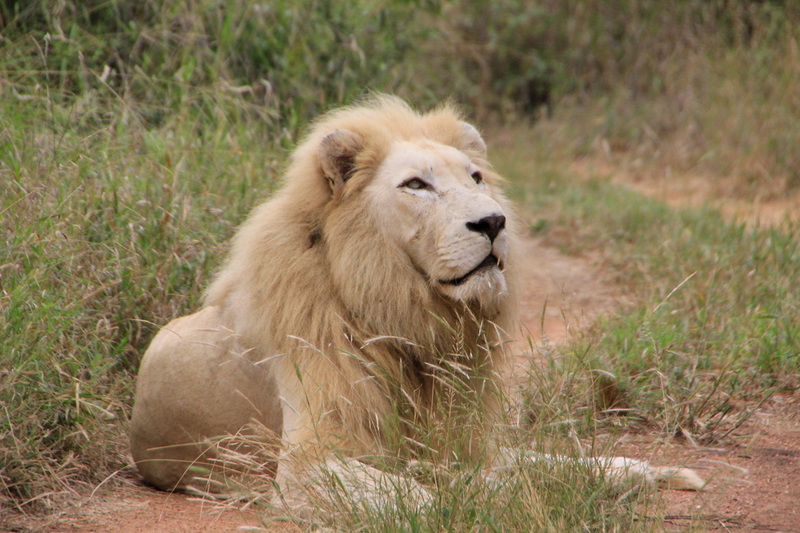 The White Lions are often seen gazing into the heavens. 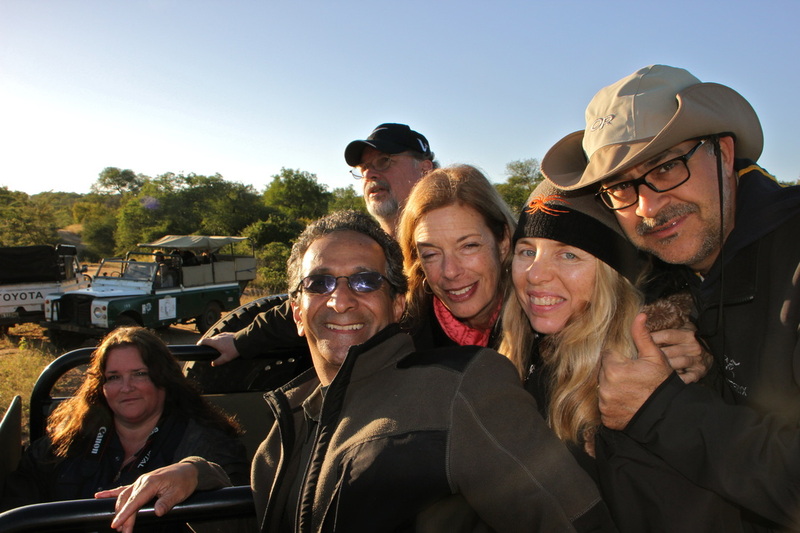 Tour groups have an opportunity to spend time with author and conservationist, Linda Tucker, CEO of the conservancy. 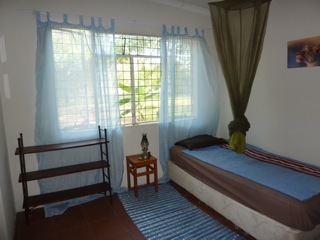 Each of the rooms at Camp Shidolo are unique; some have a private bathroom while others offer a shared bathroom option. Volunteers have an opportunity to work with the beautiful children of neighboring communities, who inspire visitors with their culture and artistic creations. 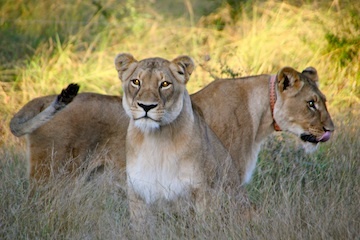 The "golden girls," mates to Letaba and Regeus, enjoying some time in the sun. 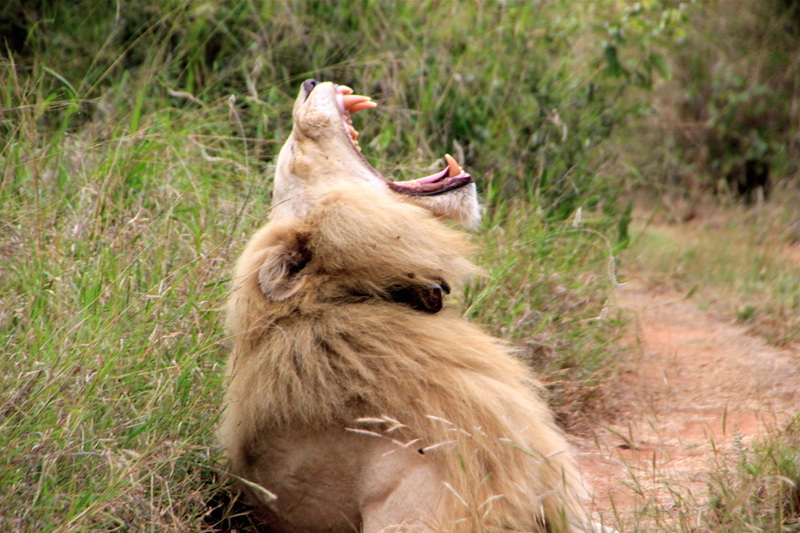 Day trips to Kruger National Park to see the "big five" are a highlight of time at the Conservancy. 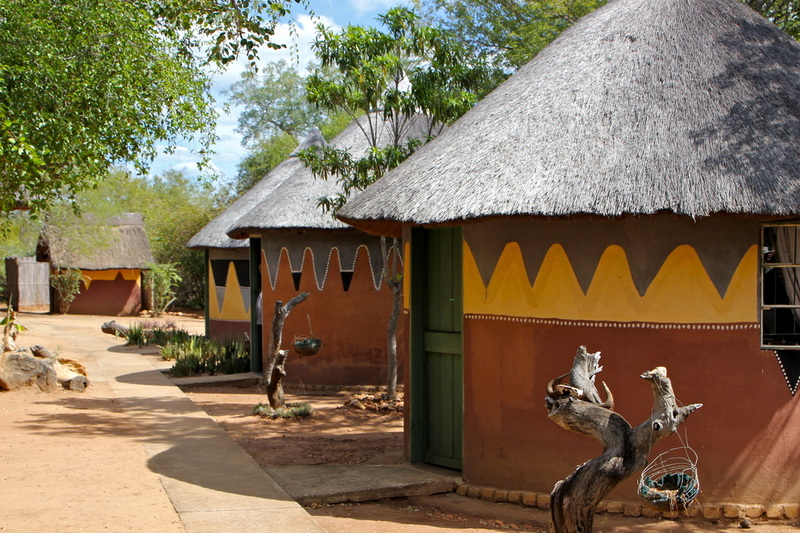 Guests at Camp Unicorn stay in beautifully painted, authentic African rondavels—each uniquely decorated, very clean and basic. Some guests opt to visit Adam's Calendar, the oldest calendar on earth, as part of their stay at the Conservancy. 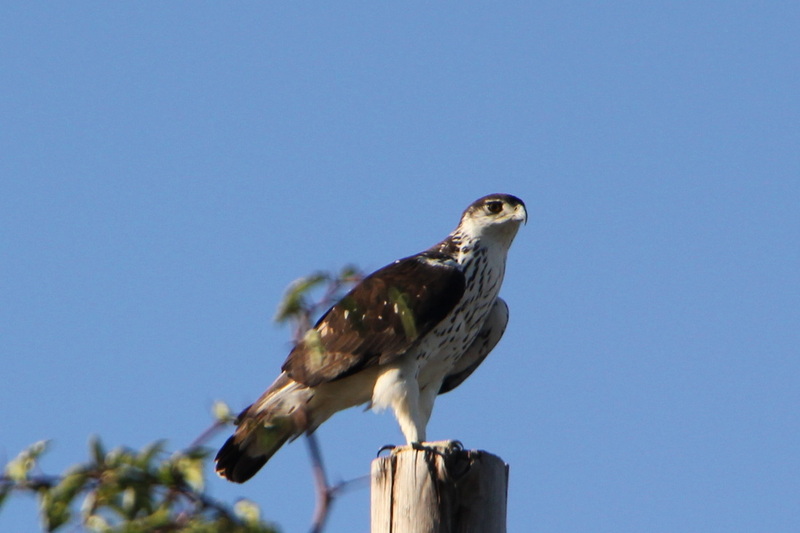 Nature lovers have the opportunity to see virtually hundreds of species of birds and other animals, including the amazing fish eagle. 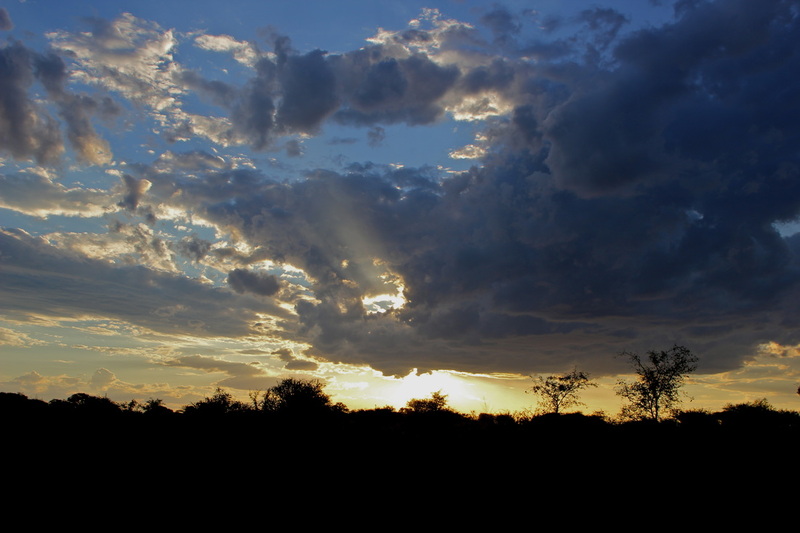 Regardless of the time of year, the sunsets in South Africa are truly spectacular. Groups may arrive as strangers, but they leave as friends. 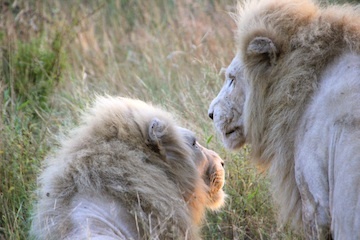 The "Akeru brothers," Regeus and Letaba, are nearly always together.